Service Excellence is our primary goal. In everything we offer we are proud of our record of great costumer service. Aviation Dynamix LLC and Chopper Dynamix Inc. have many years’ experience in the worldwide pilot services business. In addition to delivering airliners, corporate jets and helicopters, we send professional pilots around the globe to assist in training crews and operate flight departments. No aircraft too large, we will deliver your aircraft or helicopter anywhere in the world. Our pilots are current across a broad range of aircraft and each maintain current simulator training on several aircraft types. Including large aircraft such as Boeing 717, Boeing 737, 757, 767, and 777 / 787 as well as the McDonnel Douglas DC9, MD80, MD90, Embraer 135, 145, 175, Embraer 195 and Bombardier CRJ200, CRJ700, CRJ900 Regional Jets. Our Corporate Aircraft ferry pilots also cover a range of Cessna (Textron Aviation), Bombardier / Learjet and Hawker Beechcraft (Textron) aircraft. Turboprop aircraft include but are not limited to Dahr Socata TBM, Pilatus PC12, Kodiak, KingAir and Piper Meridians. Cessna C208, C208B and C208EX. Boeing experienced crew available for B737-500, B737-700, B737-800 (B737NG) and the all new B737Max B747-400, B757, B767, B777 and B787 pilots are available to move your aircraft to and from maintenance and new deliveries or lease returns. Aviation Dynamix LLC has in the past been very successful moving large aircraft on return from lease contracts and will gladly help you company in the future. If your aircraft has a foreign registration, we have crews available that are JAA / EASA, Chinese CAA, South African CAA and Isle of Man qualified and certified for various aircraft. These ferry crews can be made available on reasonably short notice depending on current scheduling. We frequently use our US FAA licensed pilots and obtain validations for the country in question in order to move foreign registered aircraft. Aviation Dynamix crews are proficient worldwide including Atlantic and Pacific crossings, and have a tremendous amount of experience in the Middle East, Asia and Far East. We can pick up your aircraft from the factory or service center and deliver it to you anywhere in the world. Or alternatively pick up your aircraft anywhere else in the world and deliver it to the airport you select. We have delivered to every continent in the world, except Antarctica but are certainly open to Antarctica ferry flights. Our staff is committed to the safe, timely, and cost-effective delivery of your aircraft. We will track and support all aspects of the aircraft movement and provide you with progress reports all along the route. We do everything we can to ensure that you have an excellent aircraft or helicopter delivery experience. In addition to their extensive worldwide experience and delivery expertise, many of our ferry pilots are instructor rated and qualified. Not only can they deliver your aircraft in a safe and timely manner, but they can remain with the aircraft to train and mentor your crew on a short or long term basis. In several instances in the past, we have not only delivered a new or used aircraft to its destination, but have gone on to provide pilot services for several days to ensure that the new crew for the aircraft are 100% comfortable with the aircraft they will be operating. There is a long list of countries that we have either delivered or operated aircraft and helicopters in. Some of these are: United Kingdom, Ireland, Scotland, Netherlands, Austria, Germany, France, Spain, Italy, Portugal, Malta, Luxembourg and so many more in Europe. African destinations have included South Africa, Namibia, Zimbabwe, Malawi, Tanzania, Kenya, Chad, Djibouti, Libya, Algeria, Ghana, Ivory Coast, Cameroon, Democratic Republic of Congo, Egypt to name but a few. Supervised operating experience, pilot mentoring and instruction. Our extensively experienced crews are offered as contract pilots and instructors throughout the world. After the delivery of a new aircraft, many companies are still waiting for their pilots to complete training. Our crews are available to fill that gap. In addition, should your crews require some real-world experience on the aircraft after stepping out of simulator training, our experienced instructors can ensure that they are able to gain that experience in real world scenarios with actual aircraft experience. Our crews can also provide initial instruction on Jet Aircraft. Our extensively experienced crews are offered as contract pilots throughout the world. After the delivery of a new aircraft, many companies are still waiting for their pilots to complete training. Our crews are available to fill that gap and keep you flying. Should your crew require some real world experience in the aircraft after stepping out of simulator training, our instructors can support that request as well. Our highly trained mentor / instructor pilots will ensure that your crew is 100% comfortable and safe with the new equipment. Our mentoring program includes flying with new pilots not yet experienced in the aircraft. We fly with our clients training and advising them on operations to ensure that they are comfortable with the aircraft they are flying and in the environment where they find themselves. We frequently work with owner pilots that have obtained a new aircraft and either want additional time with an experienced pilot on board for their own safety and the safety of their passengers, or they may need to comply with an FAA or insurance Supervised Operating Experience (SOE) requirement. Regardless, we will work with you to put together a flexible training program that suites your needs. This may even include the carriage of passengers whilst flying legs that assist in aircraft familiarization. Several owners have flown on various business trips during their SOE time. Our instructor pilots can also assist with Avionics Training on Collins Proline 21, Collins Fusion, Honeywell Epic and Garmin 1000, G3000, and G5000 avionics packages. 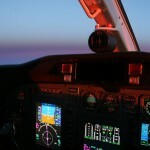 Our instructors have excellent references and are all simulator training and current in the aircraft that they operate. Our wide range of experienced crew members, all professionally trained, enable us to offer great service at competitive prices. Our crew flexibility enables us to ensure mentor pilots are available at reasonably short notice and our customer service experience has resulted in many very happy clients that continue to return for our professional services. Buying an aircraft or helicopter…. Talk to us. We can locate the correct aircraft for you and assist through the entire acquisition process. Should you buy abroad, we have expert maintenance professionals and pilots that can not only inspect your purchase but assist in delivering your new asset to its final destination. Our maintenance personal have years of experience on multiple types including helicopters, corporate jets and the large multi-isle aircraft. Aircraft manufacturers have excellent representation during the delivery of an aircraft and we at Aviation Dynamix believe our clients should have similar representation. We can be there, working as a team along with you – or with proper paperwork in place, we can be there on your behalf. We will conduct a thorough inspection of your potential new or pre-owned aircraft or helicopter. We do a detail-oriented walk around of the aircraft examining absolutely everything about it from the outside in. The paint job, engines, systems, avionics, all interior amenities and much more. No detail will be overlooked. We will assist with the final delivery test flight where we will establish whether all systems are 100% operational and meet factory standards. Once the visual inspection and test flight is complete we will sit down with the factory delivery team and go through a complete debrief of our findings. We coordinate all changes and/or repairs until everything is resolved to your satisfaction. Having crews that are familiar with an array of aircraft and helicopters give us an advantage over our competitors. We understand every aspect of the delivery process and how each specific aircraft should perform at its best. We have valuable experience and data to reference that has been accumulated over the years through countless deliveries. We strive to ensure a smooth, efficient and enjoyable and stress-free delivery acceptance for everyone involved. Is your pilot taking leave, attending annual recurrent training, or otherwise unavailable? We have professional pilots who can step in and assist with your flying needs. Our pilots have extensive worldwide experience and an excellent ability to adapt to your schedule. After the delivery of an aircraft, sometimes an owner is stuck waiting for their crew to complete training. Aviation Dynamix crews are available to step in and get you flying in your new aircraft immediately. Additionally, should your crew require some real-world experience in the aircraft after stepping out of simulator training, our pilots will supervise, instruct and ensure that they are confident and safe in real-world scenarios. Your aircraft will always be in safe and capable hands. Are you selling your aircraft, or do you need long or short term storage? We have a 20,000 Sq. Ft facility with a 28-foot door clearance. 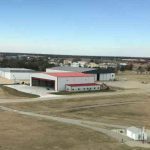 Our hangar is located at Eisenhower National Airport in Wichita, KS (I.C.A.O.- KICT). We can tailor a service package according to your specific aircraft’s storage requirements. Our facility boast heated floors ensuring that no damage will occur to aircraft from overhead heaters cycling on and off. The entire floor area is hydronically heated creating a great climate controlled environment. We offer “Flight Ready” storage services. The package can include running engines on a regular basis for aircraft stored for a longer term. Additionally, our professional crews can conduct exercise flights and our maintenance staff can perform minor maintenance, as needed. This will guarantee that your aircraft or helicopter is always ready to go when you are. We can update Cescom/C.A.M.P. Reports on a weekly or monthly basis depending on utilization. Once the reports are created, owners are briefed about what maintenance to expect in the upcoming months. Additionally, if you or your crew are unable or otherwise unavailable to move the aircraft for scheduled maintenance, our crews will move it to the appropriate facility. If you wish, our staff can also schedule the next maintenance appointment at the preferred location. We can coordinate with companies that can help you with the appearance of your aircraft – obtaining quotes and scheduling services. Including: full-aircraft wash, carpet and/or other upholstery cleaning or repairs, or service and repairs to other interior amenities. These actions are all performed with respect to your schedule – your plane will always be ready to fly when you need it. Additionally, if you are looking to upgrade your aircraft or buy a completely new one, we can help every step of the way. We can analyze your projected budget and traveling schedule then calculate approximate operational costs. From there we can determine which type of aircraft and accompanying specifications could be a perfect fit for you.